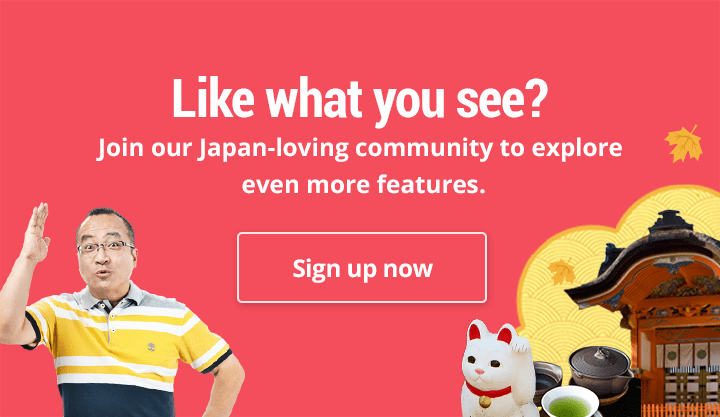 When it comes to hanabi (fireworks) festivals, nobody does it better than the Japanese. 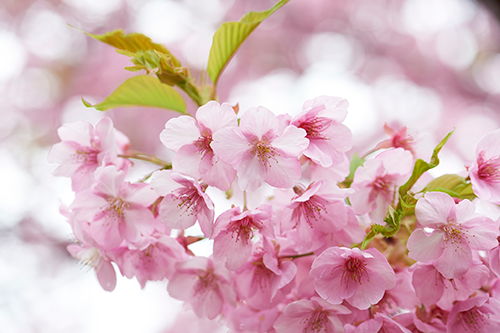 The best part is that no matter what the season, there is always a reason to celebrate the night with visual artistry. 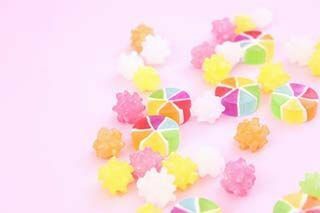 Even if you have witnessed some of the country’s elaborate summer fireworks festivals, the winter versions are said to be even more beautiful since the sky is clearer, and you may even witness fireworks glowing against falling snow! What’s more, it’s a unique opportunity to bundle up in your winter wear and enjoy a warm drink as you watch the night sky light up. 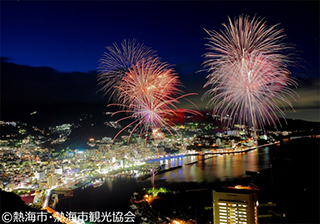 Atami Bay has been holding their seaside fireworks festivals throughout the year – in all four seasons – since 1952. What is unique about the site is that it is surrounded by mountains on three sides, so that the booming sound of the fireworks and the ocean waves create a unique acoustic effect that reverberates through your body. In addition, the stream of fireworks – about 3,000 of them per night – are let off one after another in quick succession until the finale, which features the release of a special firework known as the “Great Air of Niagara” – a star mine that is said to light up the night sky like it’s noon. The fireworks dates are scheduled throughout the year, with the winter version only appearing in two days this December. 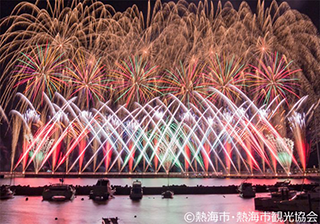 Held in the port of Nagoya, the Isogai Hanabi Festival is billed as a ‘fireworks theatre’ that combines a fusion of music and fireworks to create a synchronised showcase. 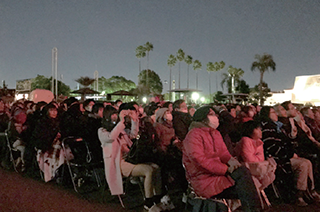 Held on Christmas Eve, this ticketed event attracts well over 75,000 spectators who come to enjoy the show which is executed by Isogai, an award-winning fireworks company established in 1887. This is a ticketed event, where spectators with tickets are allocated seats to watch the show in comfort. 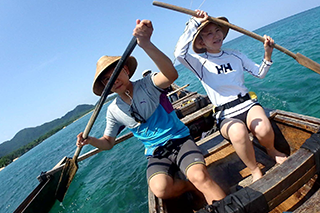 Due to its popularity with photographers, there are chargeable designated areas especially for shutterbugs. There will also be hot beverages and food on sale during the event. If you didn’t manage to get tickets in time, you can also watch the display from beyond the ticketed area but you won’t get to appreciate its full glory. 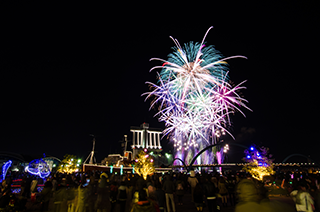 This year’s Kawaguchi Lake Winter Fireworks will be held for 13 times during the weekend (Saturday and Sunday) for a month between January and February, as well as on Monday (February 23) which is Mt. 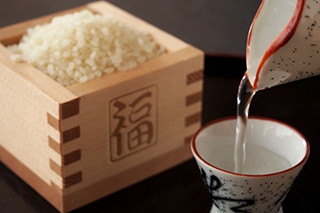 Fuji’s commemoration day. 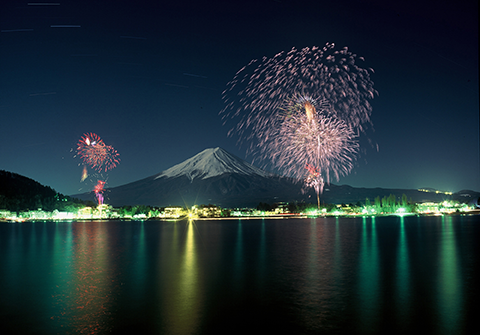 If the sky is clear and the air is still, the colourful fireworks will be reflected against the calm lake. 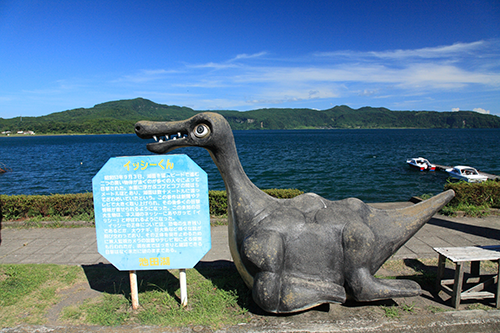 The main location is Oike Park, but you can see it from anywhere along the lake. 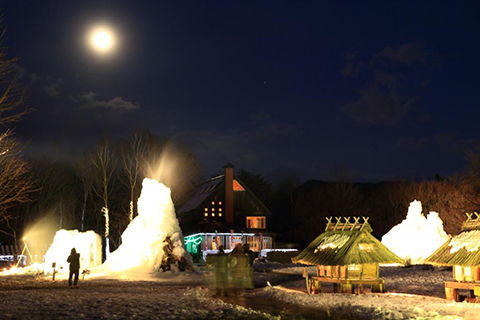 Between late January and mid February, you can also check out the Saiko Juhyo Festival at nearby Saiko Yacho-no-mori Park (accessible by bus) which features frost-covered trees resembling snow monsters that are illuminated at night. 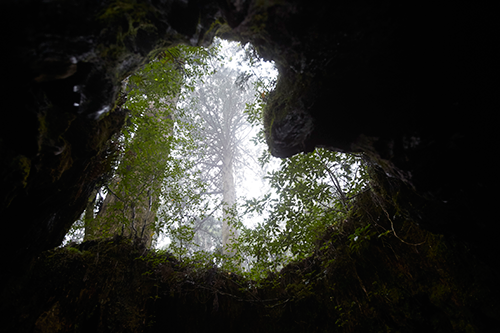 After the festivities, you can have a nice, warm soak at a nearby hot spring. 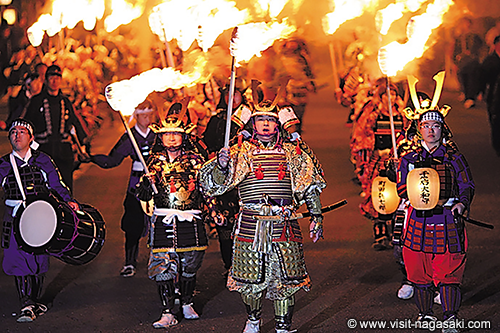 If you visit Gero Onsen in winter, do look out for their “Fireworks Story" which lights up the town after dinner every Saturday from January to March for a total of 13 performances. 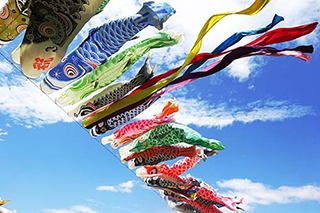 Each week’s fireworks is given a theme – hence the name of the festival (Monogatari means ‘story’) – with January dedicated to those who’ve reached adulthood at 20, February dedicated to Valentine’s, and so on. The fireworks is best viewed from upper Gero Bridge or around Atano Valley. While each fireworks session is pretty short (at 10 minutes), the performance changes colour and music to suit the theme. 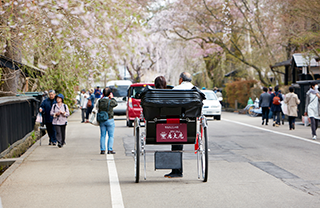 After enjoying the fireworks outdoors, you can soak in one of many hot springs in town to warm yourself up. 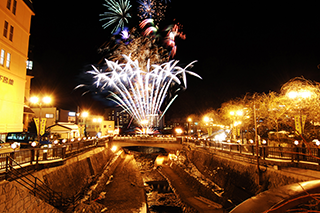 Happening at Hakodate’s port area, the Kaijou Fuyu Hanabi runs for three successive days in the middle of winter. Its name ‘Kaijou’ refers to the fact that it’s a seaside affair. 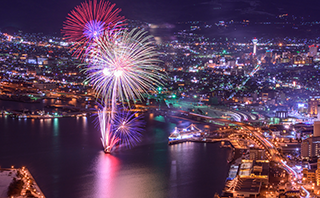 Approximately 2,000 fireworks will be launched every night just off Toyokawa Pier, and the vivid colours will be visible from many locations across town, including the Bay Area, Hakodate Station, and Mt. Hakodate where you can get a gorgeous aerial view of the entire bay. 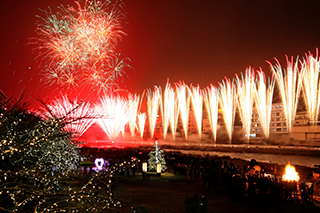 You can also see it from various shop windows where you can enjoy the fireworks in warmth with a meal or drinks. 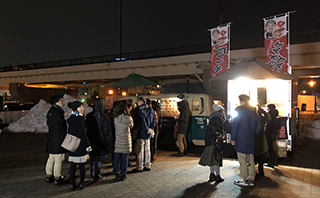 If you’re enjoying the fireworks outdoors, there are also food booths that will open from 6pm, easily accessible from Hakodate Station.